WHAT IS IDENTITY AND WHAT IS INDIVIDUALITY? A brief glance at the face is enough for most people to identify one another. 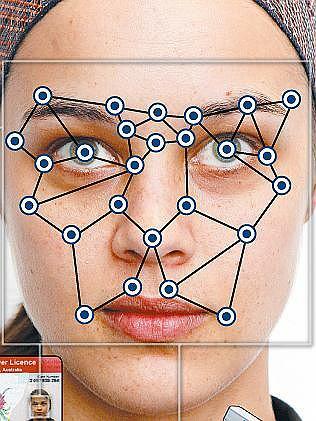 Face recognition is a basic feature of human identity and recognition. A brief glance at the face is enough for most people to identify one another. However, man does not exist with the same identity during the course of his life. 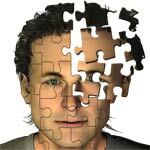 The word identity describes the condition or fact of being a specific person. Identification is the process by which a person can be identified in an accurate and consistent manner. The morphological or the external appearance of a person is subject to constant changes and it differs in a significant manner during the various stages of life such as infancy, boyhood, adulthood, and old age. The term individuality describes the sum of the characteristics or qualities that set one person apart from others. The condition of being individual, or different from others establishes the indivisibility of man. Man is unique, original, one kind of person who has not existed before and would not also exist in future even when he shares the same identical genome. Two identical twins could be correctly identified as two different individuals. I had proposed the Law of Individuality and Creation which claims that man exists as Individual and has no choice in this conditioned nature of subjective physical existence in the world. Man can only exist as Individual with Individuality. 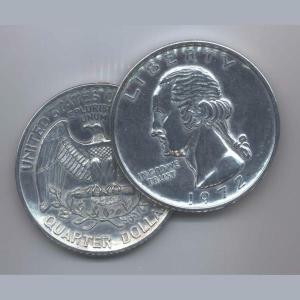 If Identity described by the Phenotype establishes one face of the Coin, the Individuality describes the second face of the same coin and is established by the Genotype. While being the same, the Genotype presents the Individual with varying features of identification. Using Fingerprints is the oldest method of Identification. The Fingerprint is electronically read by a sensor plate. Biometrics is that branch of Biology which deals with its data statistically and by mathematical analysis. 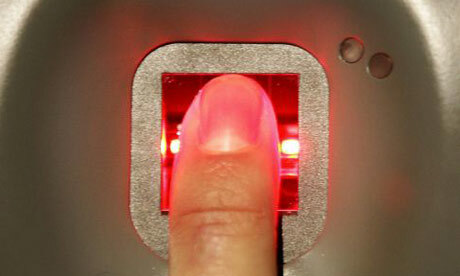 Using Fingerprints is the oldest method of Identification using biometric information. People have tiny ridges of skin on their fingers. These ridges form through a combination of genetic and environmental factors. The genetic make-up, the position of the fetus in the womb, and the composition and density of surrounding amniotic fluid play a role in how every individual ridge on the skin surface of finger will form. Fingerprints are a unique marker for a person, even an identical twin. Fingerprint analysis can define the differences between two fingerprint impressions. 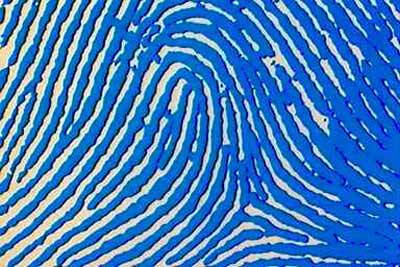 Fingerprints are a unique marker for a person and Fingerprint analysis can define the differences between Fingerprints. The Fingerprint is electronically read. The corrugated ridges of the skin are non-continuous and form a pattern that has distinguishing features or minutiae. Two varieties of Fingerprint scanning technology are currently used; the optical Fingerprint scanners and the Capacitance Fingerprint scanner that uses a computerized analysis. The Iris is the most unique feature visible on the human body.Iris Scan Recorder uses pattern recognition techniques based on images of the Iris. 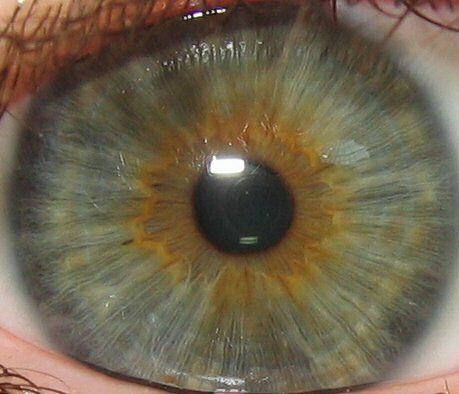 Iris Scanners use pattern recognition techniques based on images of the irides(Irises) of an individual’s eyes. No two irides being the same, even in identical twins, individuals could be identified with accuracy and consistency. A small sample of DNA is amplified by using Polymerase Chain Reaction or PCR. The Short Tandem Repeat Analysis examines how often base pairs repeat in specific locations on a DNA strand. A small sample of DNA is amplified by using Polymerase Chain Reaction or PCR. In a method described as Short Tandem Repeat Analysis, it is examined to find how often base pairs repeat in specific locations or loci on a given DNA strand. These can be dinucleotide, trinucleotide, tetranucleotide, or pentanucleotide repeats; that is repetition of 2, 3, 4, or 5 base pairs. Very often, the investigator looks for tetranucleotide or pentanucleotide repeats in the DNA sample. The likelihood that any two individuals( except identical twins ) will have the same 13-loci DNA profile can be as high as 1 in 1 billion or greater. Every face has numerous distinguishable landmarks, the different peaks and valleys that make up facial features. Every face has numerous distinguishable landmarks, the different peaks and valleys that make up facial features. These landmarks are known as nodal points. Each human face has approximately 80 nodal points. Distance between the eyes, width of the nose, depth of the eye sockets, the shape of the cheek bones, the length of the jaw line and other features are used as nodal points. These nodal points are measured creating a numerical code called a face print, representing the face in the database and comparison is made between images of face. 2D or 3D image of a person’s face uses distinct features of the face where rigid tissue and bone is most apparent, such as the curves of the eye socket, nose, and chin to identify the subject. 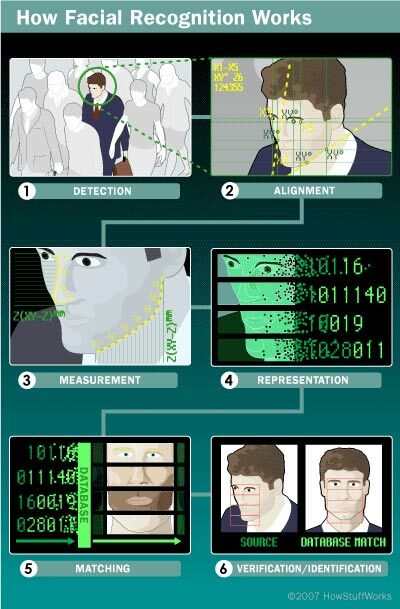 Unique templates are created from measurements between key points on the face and these measurements provide identification of the individual. The uniqueness of Skin Texture offers an opportunity to identify differences between identical twins. Surface Texture Analysis creates a Skin Print by using local information about skin texture at various points on the surface. 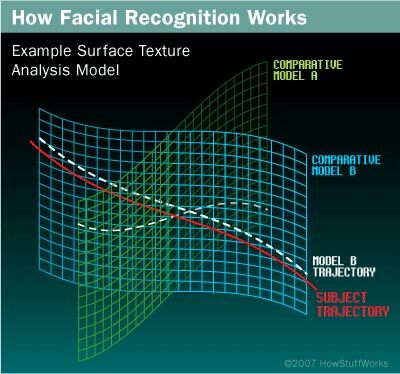 The Surface Texture Analysis algorithm operates on the top percentage of results as determined by the Local feature analysis. This method creates a Skin Print and performs either a 1:1 or 1:N match for verification or identification. It can identify the differences between identical twins. Man describes his identity in terms of his personal name, age, gender, race, ethnicity, place of origin, language, religion, political, occupational, or social affiliation. In reality, the man is an association of trillions of individual cells. The human organism is a conscious being and the function called consciousness achieves functional unity of all these individual cells and works for the benefit of the individual who always maintains his individuality. This is possible because individual cells have the ability to recognize the presence of other living cells in their environment and display functional subordination to serve the purpose of the whole organism.